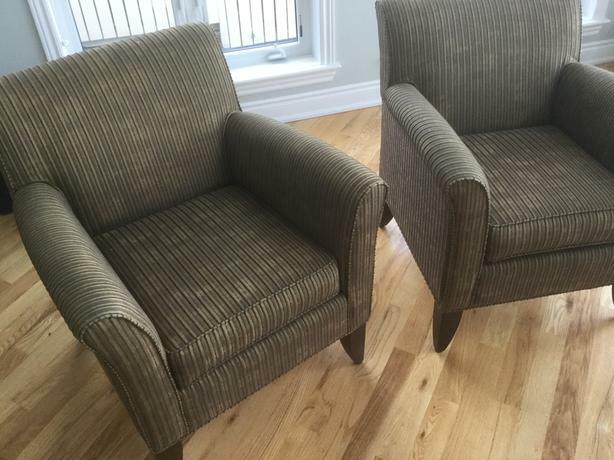 Beautiful upholstered chairs in green, brown and gold purchased from M.Y Home in Kanata. Excellent condition 31" wide. Don't fit in our new home. Sacrifice $200 for both.